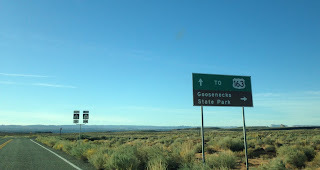 After completing Utah State Route 261 over the Moki Dugway I turned on US Route 163 headed south through Monument Valley towards Arizona. US Route 163 is a 64 mile US Route running from US 191 in Bluff of San Juan County, Utah southward to Kayenta of Navajo County, Arizona. The majority of US 163 is located within the Navajo Nation and is highly scenic with notable features being; Valley of the Gods, the Mexican Hat, San Juan River and most notably Monument Valley. 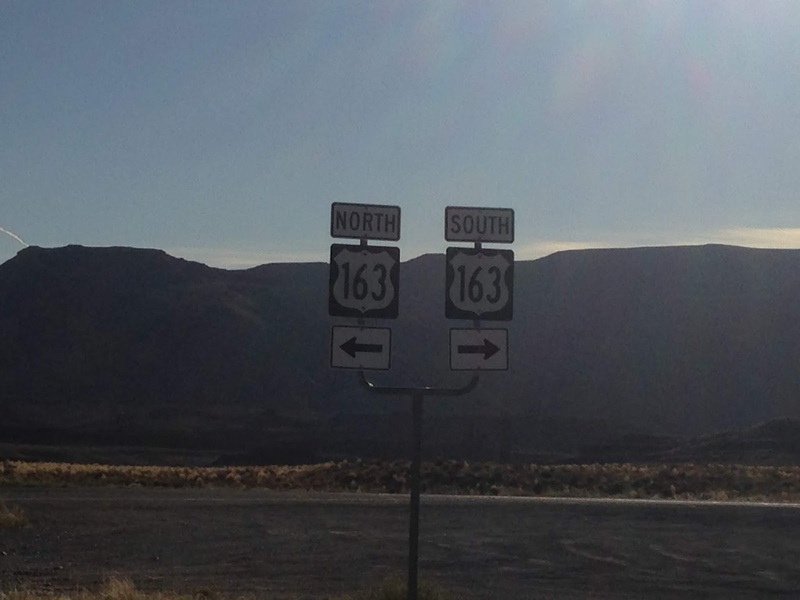 US 163 is part of the Trail of the Ancients National Scenic Byway. - US 160 from Crescent Junction south to Monticello. 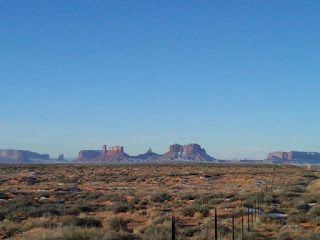 - UT 47 to the Arizona State Line through Monument Valley. - AZ 464 from the Utah State line to Kayenta. Interestingly UT 47 appears to have been maintained as a State Highway between Monticello and the Arizona State Line all the way back to 1910, although I'm not certain when it was first signed. AZ 464 was first picked up as a State Highway in 1962 according arizonaroads.com. The below map shows the route of UT 47 in 1950. In 1983 US 163 had it's north terminus cut back to Monticello. US 163 was further cut back to it's current north terminus in Bluff at US 191 in 1985. Following the truncation of US 163 the State of Utah proposed extending it via what is now UT 162 and CO 41 but it was ultimately rejected. More regarding the historic endpoints of US 163 can be found at USends.com. The majority of my photos of US 163 were taken between 2013 to 2016. In 2016 I didn't complete all of US 163 but started a couple miles from the north terminus at UT 261. From the south terminus of UT 261 I turned south on US 163. 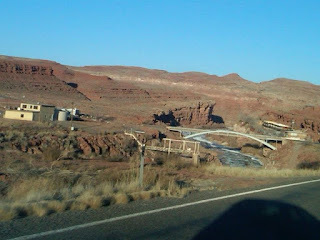 From the junction of US 163 and UT 261 the Valley of the Gods in addition to Cedar Mesa can seen directly to the north. Traveling south on US 163 towards the community of Mexican Hat the namesake rock formation can be seen looking east towards the San Juan River. The Mexican Hat is a sombrero shape rock formation that is 60x12 feet in dimension. 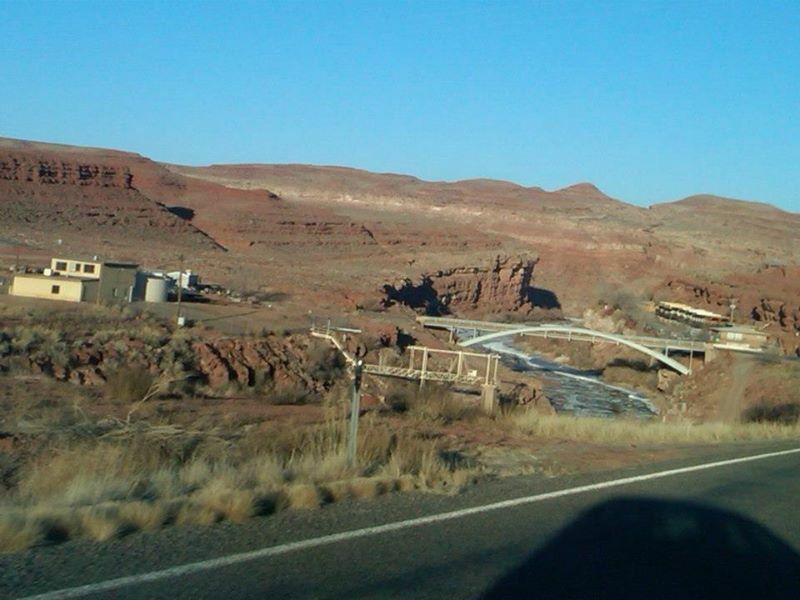 In Mexican Hat US 163 crosses over the 1953 San Juan River Bridge where it enters the Navajo Nation. This photo below was from 2013. After crossing the San Juan River the sandstone bluffs of Monument Valley are almost immediately apparent. These photos date back to the winter of 2016 at Mile Marker 16. Over the years I found that Mile Marker 13 was most likely the location that car magazines take pictures of Monument Valley. This photo below dates back to 2015 when I clinched the entirety of US 163 for the second time. Apparently Mile Marker 13 of US 163 is known as "Forest Gump Point" due to it being the location the final running scene of the movie was shot at. 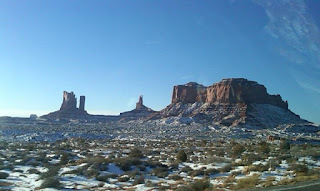 Mile Marker 13 of Monument Valley is also the location of a Navajo Trading Post where there is a highly scenic overlook. Monument Valley is a collection of weather sandstone buttes with the highest reaching over 1,000 feet in height. Monument Valley has been the backdrop of all sorts of popular media since the 1930s and currently is part of the Monument Valley Navajo Tribal Park. When I was driving through Monument Valley in 2015 US 163 was being repaved. In 2013 the bluffs of Monument Valley were covered in snow. There is a scenic view of Monument Valley even from the Arizona State Line on US 163. Upon entering Arizona the path of US 163 southward ascends over a small pass before entering Kayenta where it has junction with Bureau of Indian Affairs Route 106. US 163 ends at US 160 in Kayenta. I turned west on US 160 towards the Grand Canyon. 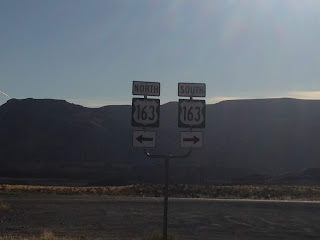 Part 20 of this series covers US 160 in Arizona.